Netflix launched on Nov. 3 a series of five-minute episodes of popular children’s television shows geared toward parents who have trouble getting their kids to sleep. These “5 Minute Favorites” from shows such as “Dinotrux” were cut down from 23-minute episodes into small clips for parents who need help regulating their children’s addiction to the screen. Netflix’s introduction of these sleep-enhancers started with a survey conducted through Ipsos Public Affairs in September in which more than 7, 200 parents with children ages 2-10 from seven countries were asked about their children’s bedtime habits. Not surprisingly, American children were found to utilize the most stalling tactics when convincing parents to let them stay up and watch more television (they use tactics 66 percent of the time versus the global average of 61 percent). 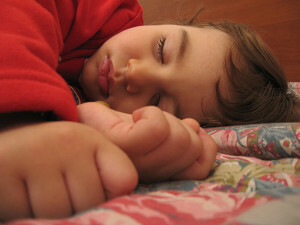 Consequently, they also take the longest to get to bed (19.3 minutes versus 17.5 minutes globally). Netflix’s aim is to make parents the “good guys” by letting their kids watch a short episode before bed without their realizing the intention of its brevity. While this new implementation hasn’t been around long enough to show improvement in the speed of getting children to bed or impact a child’s ability to fall asleep, it is an important effort in trying to get kids to sleep earlier. A Nielson report stated children ages 2-5 spend an average of 32 hours a week in front of a screen. There are, however, some flaws in this plan. Netflix’s intentions are good — catering to kids, parents and everyone in between — but they also push kids to be attached to technology. Netflix is smart to identify a problem that parents didn’t know needed fixing, but capturing a child’s attention will become increasingly difficult, making five-minute videos become three-minute videos and so forth. Overall, making more accommodations and excuses for children to increase screen time does more harm than good. And I get it. Parenting is hard, and I wouldn’t know anything about it because I’m still a kid myself. But even for someone as tech-savvy and innovation-obsessed as me, I will admit that I’m a bit conservative about putting technology in kids’ hands. It is all too common nowadays to see families out to eat with parents talking amongst themselves and children with tablets in their hands. While I understand the chaos of raising a child is far from my understanding, I do think we’re letting technology take too much control. It pains me to see friends out to dinner, sitting across from each other but scrolling away on their phones. Letting kids believe this is a norm, let alone a socially encouraged activity, makes me worried about the value of communication in the future. As of now, kids are following our current generation’s trend of seeing technology as a necessity more than a tool. But for them, it is hard to distinguish between the two and see the detrimental effects of it in the future. It’s hard not to resort to easy fixes when kids are fussy or need a distraction, but if we’re looking into the future, this will only lead children to become more dependent on technology as their sole provider of entertainment, comfort and escape. Even adults have a hard time keeping their eyes away from their phone, so why expect our kids to be any different?